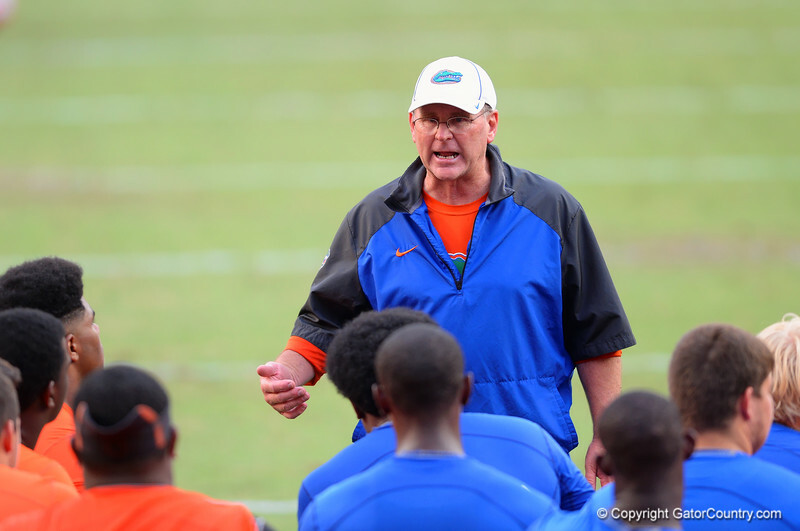 Florida Gator offensive line coach Mike Summers coaches up the kids.2014 Friday Night Lights. July 25th, 2014. Gator Country photo by David Bowie.